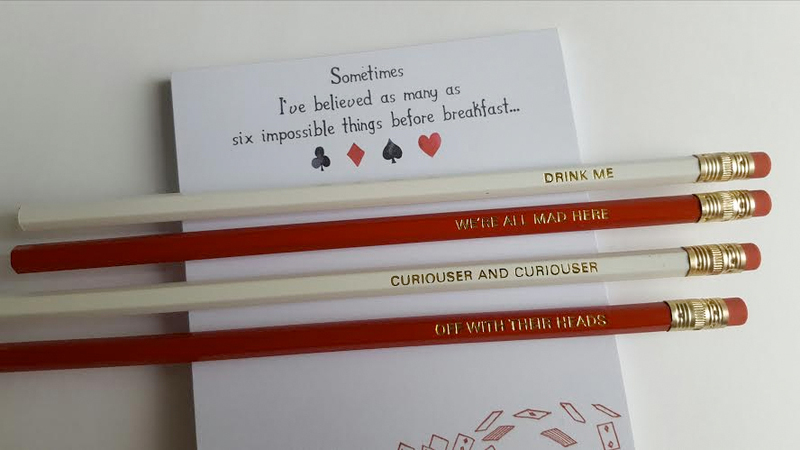 It’s Pencil Day for the opening of the epic National Stationery Week and I was lucky enough to receive some goodies from Literary Emporium. 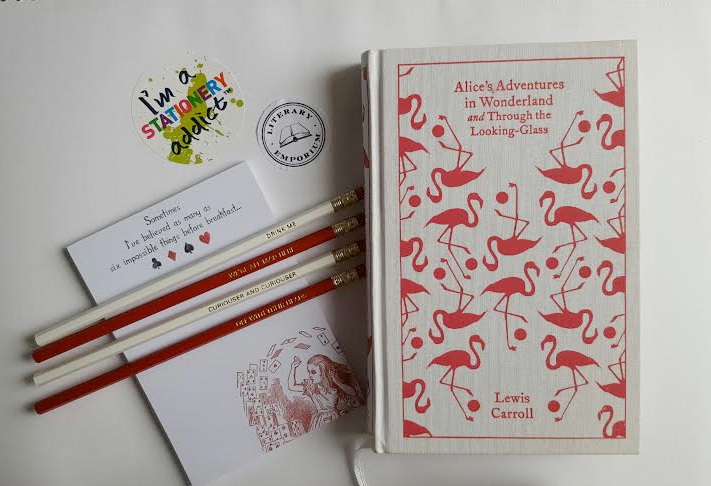 It’s one of my favourite sites as it caters for both bookworms and stationery addicts alike – two of my favourite things! 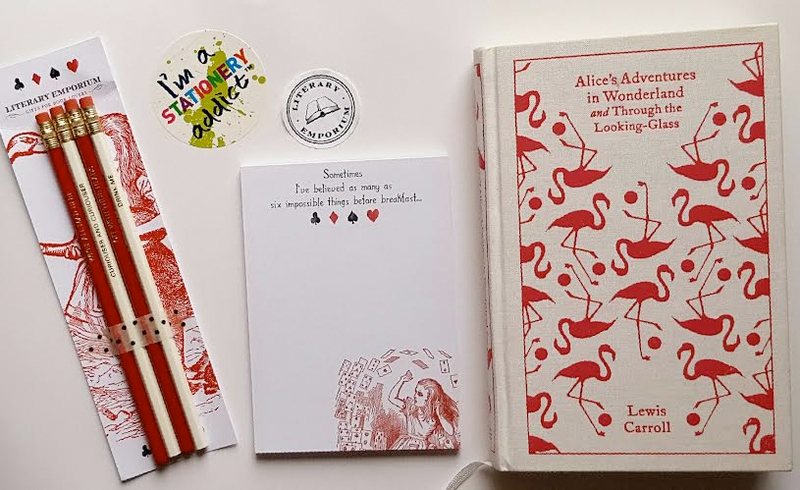 As it’s Pencil Day, I received a pack of their new Alice in Wonderland pencils* and matching notepad* – cute, right?! The pencils even come with an illustrated backing card/bookmark, which I’ve already popped up on my inspo wall. I love the quote on the notepad, which reads: “Sometimes I’ve believed as many as six impossible things before breakfast”. Great inspiration when you’re sat slumped at your desk and not feeling particularly creative. I’m loving the red and white theme and everything goes so well together. If, like me, you’re in love with the whole collection, a little discount might come in a bit handy, hmm? Well, it just so happens that the lovely folks at Literary Emporium are offering you fabulous readers an exclusive 15% off EVERYTHING on the site. Yep, everything! Just enter “EMSLF15” at the checkout. Let me know what you decide to order!